Do You Want A Toned, Leaner Body? 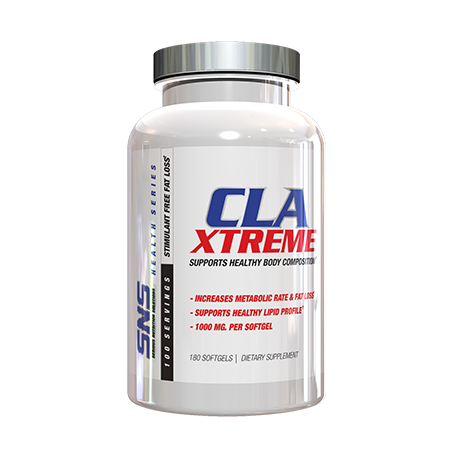 CLA Xtreme can be used as part of fat-loss or body-recomposition regimens or as part of a general health supplement regimen. For fat loss regimens, CLA Xtreme can be stacked with GlycoPhase, Lean Edge, Reduce XT, Garcinia Cambogia, or other select SNS products for improved synergistic results. 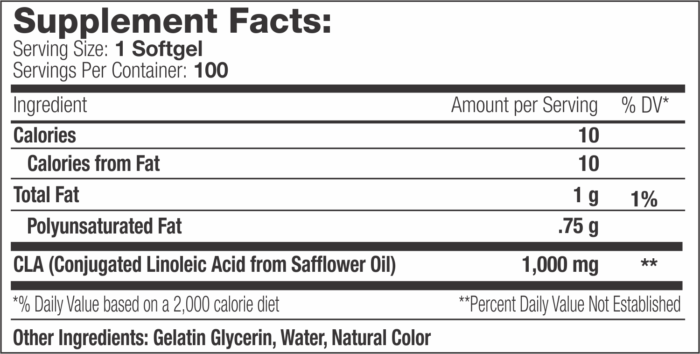 Allergen Information: Not manufactured with wheat, gluten, soy, milk, egg, fish, shellfish, or tree nut ingredients. Produced in a GMP facility that processes other ingredients containing these allergens. 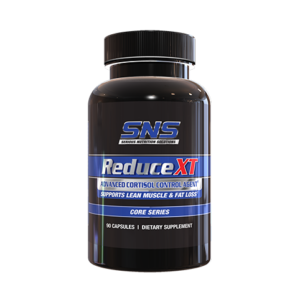 As a dietary supplement, take one (1) to (2) two softgels 3 times per day, preferably with meals. Or take up to three (3) softgels 2 times per day, preferably with meals. 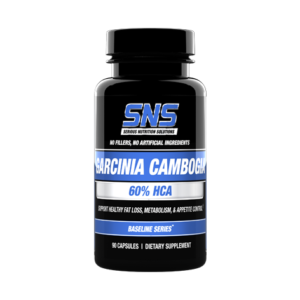 Do not exceed 6 softgels per day. 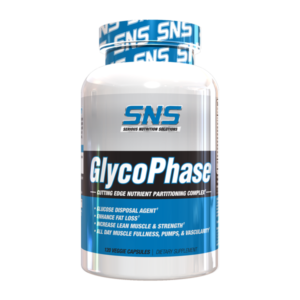 This product is for healthy adults 18 years of age or older. Do not use if you are pregnant or nursing. Consult a physician before using this or any dietary supplement. Do not use this product if you have any medical condition or are taking any medication(s). Keep out of reach of children.